Bloodroot is a flowering groundcover in the poppy family that is native to northeastern North America. It is so-named because its orange root yields a poisonous red sap that Native Americans used as an insect repellent. storage tips Store in a sealed container away from direct light and heat. 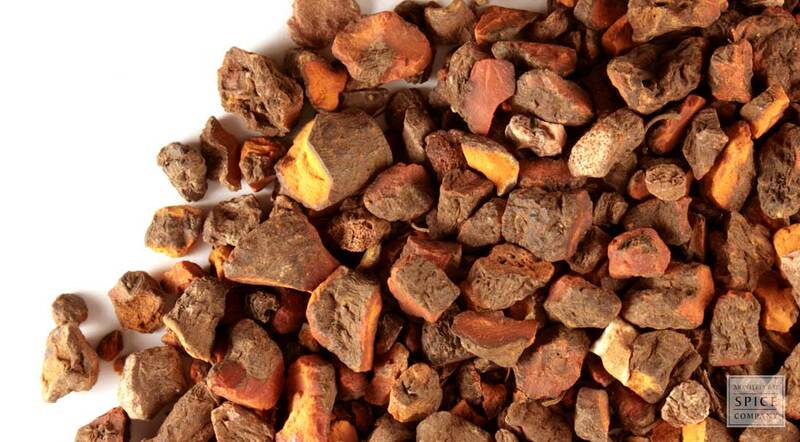 appearance & aroma Fibrous and yellow to russet in color, no detectable aroma. cosmetic Blood root alkaloids are used in certain dental products. household The root yields a reddish-orange dye. 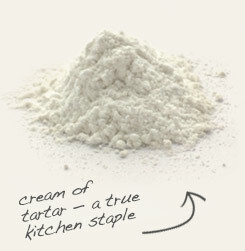 Use cream of tartar as a fixative to achieve a clear dye color. 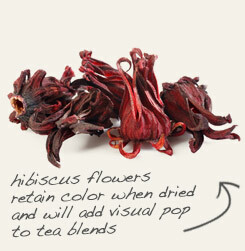 Combine with hibiscus to produce a deeper dye color. As a member of the poppy family, blood root contains benzophenanthride alkaloids. The most significant of these is sanguinarine, a substance with antimicrobial qualities. Sanguinarine was once a key ingredient in the Viadent line of toothpastes and mouth rinses recommended for periodontitis in adults. Due to the discovery of an increased risk of oral leukoplakia with the use of these products, however, sanguinarine has largely been replaced by chlorhexidine. Background: The root of Bloodroot was often used by Native American Indians as a body paint and dye for clothing. It was also used historically by American and French cloth dyers as a red dye. Description: Bloodroot is a small plant, which produces beautiful, early blooming white flowers featuring 8 – 12 petals. Native to North America, it is a perennial,grows about 6 inches high and can be found growing in shaded areas with rich soil. The root is thick and rounded and contains a reddish juice when fresh.The Bloodroot leaves are in the shape of a palm. Safety: Bloodroot should not be used without medical supervision. Large doses have a sedative effect and overdoses can be fatal. Induces vomiting. Do not use Blood Root if pregnant or breastfeeding or if you have a condition of glaucoma.